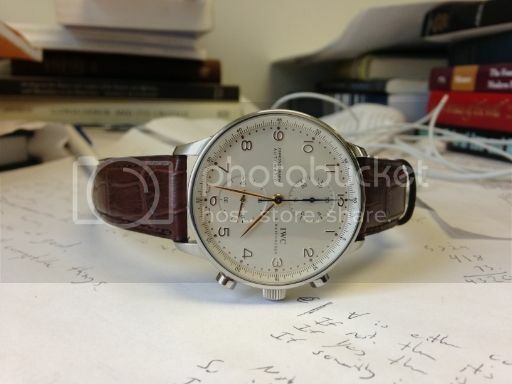 TimeZone : IWC » Pics of blue Portugueses on brown straps? One of the reasons I got my 3714 with gold numbers/hands was my love of brown straps combined with my conviction that the blue wouldn't look as good on them. Ninja Theorist's picture below is shaking that conviction! Anyone else have good shots of a blue numbers 5001 or 3714 on a brown strap?